As your children prepare for the big day, so can you! 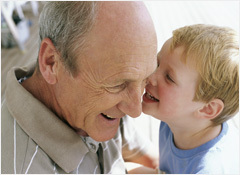 Attend this two-hour class to learn about your special role in the life of your grandchild. This class is offered at a discount for Sharp HealthCare employees who would like to attend as a couple, please call 1-800-82-SHARP (1-800-827-4277) to enroll.